The following are the ten major things that every baby boomer and anyone who is planning to retire in the near future should look at. We will provide a few comments about each on, however obviously you will need to apply your own personal situation to this list. Also you may want to get the assistance of an expert financial planner to help with the details and calculations. Once you properly go through each of these steps you will have an idea of your situation when you retire. The next step then is to take action to improve each area and then reassess once action has been taken and every year there after. Prepare a pre-retirement budget – what income will you have and what will your day-to-day expenses be? You may need to take steps to re-balance your expenses to ensure that your cash flow is sufficient to meet your needs. What tax bracket will you be in – knowing this number will help with your budget. How much tax will you be obligated to pay and what action can you take to lower your tax obligation? Plan a mix of growth and income investments – a financial planner can help with ensuring that there is the right mix of income investments, growth investments and what changes you need to make? Figure out your real estate situation – is your mortgage paid off, should you downsize, what improvements do you need to make to sell your home or make it comfortable for you during retirement. These decisions will have a large impact on your budget. Refinance your home before you retire – if you need to refinance your home, do it while you are still working. 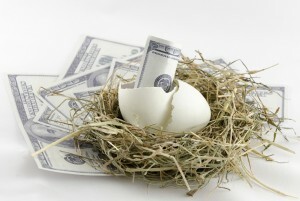 The finance companies will re-evaluate your income etc and risk profile once you retire. Do you need to update your car, pay it off, downsize from two to one car or complete major repairs before you retire? The following are the ten major things that every baby boomer and anyone who is planning to retire in the near future should look at. We will provide a few comments about each on, however obviously you will need to apply your own personal situation to this list. Also you may want to get the assistance of an expert financial planner to help with the details and calculations. Once you properly go through each of these steps you will have an idea of your situation when you retire. The next step then is to take action to improve each area. Then reassess once action has been taken and every year there after. Plan a mix of growth and income investments – a financial planner can help with ensuring that there is the right mix of income investments, growth investments. they can help decide what changes you need to make? Figure out your real estate situation – is your mortgage paid off? Should you downsize? What improvements do you need to make to sell your home or make it comfortable for you during retirement? These decisions will have a large impact on your budget. Do you need to update your car, pay it off, downsize from two to one car? Or complete major repairs before you retire? nd what changes do you need to make? Give yourself a health assessment – while still working, have a complete health checkup. Take action to improve your health, whether it is more exercise, diet etc. Update your living will and your regular will – talk to your lawyer and make sure that these two documents reflect your current requirements. Develop a game plan – summarize all of your actions that are needed, prioritize them and take steps to complete them. Re-evaluate once a year or after any major changes in your life style. 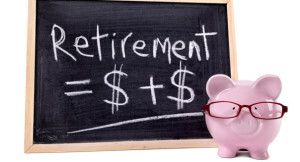 Finally once you do retire, adhere to your budget and re-evaluate everything annually! This entry was posted in Checklists & Tactics and tagged Retirement Goals on 2014/10/07 by ernie. We will discuss each one in more detail as consumers planning for retirement are forced out of jobs or find that they are being forced to retire early or other reasons such as health, supporting loved ones, and a variety of other issues. Income – as part of your plan for retirement it’s important to understand where your income is going to come from. This could be a combination of government pension payments, employment pension payments and from your savings. Most people would like to retire with their home fully paid for, the car fully paid for and no other loans to be concerned about. This is an excellent objective however the reality is that the majority of people will retire owing some money. Take a very close look at the debt that you have today, how quickly you will be able to pay it off and whether you will carry any of that debt into your retirement years. Understanding the loan payments and mortgage payments and the impact it will have on your income and money left over for other activities will play a big part in helping you decide when you can financially retire. Once you have looked at your income, and the debt that you will carry into retirement it is now an easy matter to figure out what savings rate you will have to achieve while you were still working in order to live the kind of retirement life that you would like during retirement. This is all about quality-of-life during retirement and ensuring that you have sufficient funds available to live that life. You may find that you need to save much more money to sustain your lifestyle or at least the lifestyle that you plan for your retirement. Take a few minutes now to prepare initial estimates of what your income will be during retirement, what your loans and mortgage payments will be, and also your current savings and how much money per month you can expect to derive from your savings. Once you have these figures you will have a quick understanding of whether you need to go into more detail and plan for your future retirement. This entry was posted in Checklists & Tactics and tagged Retirement Strategy on 2014/08/14 by ernie. This is the list of the Ten Best Things to do in Retirement that we recently read and wanted to pass this along to our readers. Basically you can do something that keeps you busy and that you find rewarding or you can help people. Sitting around and doing nothing really does not help you or anyone else that matter. Why not make a contribution to society in some manner? Sitting around being bored is actually bad for your health and will actually shorten your life. Be active and do something that you enjoy and really get into your retirement. 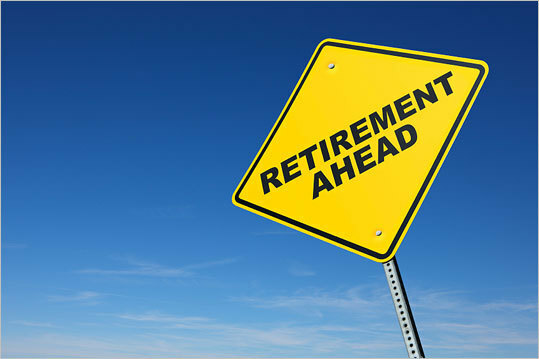 Get a job – a lot of people will take a second job after retirement. They make a little money to pay for the extras they want and to also replace their social life that they lost when they retired. Take up a sport – there are lots of sports that retirees can participate in. Some are expensive such as golf, but other such as bike riding are relatively inexpensive. Volunteer – helping other people is both rewarding. It makes a contribution to society, while adding some social activity as well to your life. Start a business – starting a business is a challenge for many people. Some retirees miss the challenges that work gave them. Starting a small business is one way to replace that loss. Travel the world – if you have enough money traveling can be a wonderful pastime, provided that you have the budget available to travel in the lifestyle you prefer. Go south for the winter – lots of people cannot stand the winter and love to travel south for the winter where they can golf and pursue some of the sports they enjoy in the summer. Go to a camp for adults – we are not sure about this one, but you can pick a camp that caters to your interests and meet new people at the same time. Meet new friends of all ages – take the time to meet new friends, everyone has a story to tell and many are really interesting to listen to. This entry was posted in Checklists & Tactics and tagged Lifestyle Decisions on 2013/07/07 by ernie. It may seem that is far too early to even think about saving for retirement, however the simple math shows that if you begin early, not only is it easier to save for retirement, you can almost be guaranteed to have more than enough for retirement. Planning and then forming habits about saving for retirement pretty much ensures that you can have a comfortable life, subject to your expectations. The chart above shows the age that savings begins and the amount you have to save each month to achieve a retirement account of $750,000 with an average 0f 8% return on the investments. It is pretty obvious that if you start early , you only need to save a small amount each month until you retire. If you delay savings until later years, the amount you need to save goes up dramatically. Why do we talk about expectations. Well I recently met with a friend of mind who was worried that he might not have enough for retirement. He is 65 and will have a combined income from several pension plans of $110,000 a year. After I picked myself off the floor I said to him, that there is always more stuff you want. There is always more things you want to do than what you will be able to afford,. But this level of income in retirement will be more than sufficient. Most people would give their eye teeth to have even half that amount. Objective: Develop the habit of saving. Savings: 1.5 times your annual salary before taxes by age 35. Take full advantage employer-sponsored retirement plan savings which is the easiest way to put your savings on autopilot. Boost your contribution. Increase your savings rate as your paycheck increases. Explore other tax-advantaged ways to save. Depending on the country that you are in, there may be other tax advantaged savings opportunities that you can explore. Six month Emergency Fund. Always have six months of savings tucked away somewhere that you can draw on if you are laid off or have a health issue that prevents you from working. Never invest in high risk investments. Seek out quality blue chip investments that have both a growth potential and pay dividends. Objective : Focus on how you invest your money. Review your portfolio. Work with a financial adviser and re-balance your portfolio along the lines of your investment profile. This can be scheduled annually or after a significant change in the markets. Update your investment strategy. As you get closer to retirement, you will want to update your investment strategy and reduce risk exposure that may be in your portfolio. The objective is to move in the direction of preserving capital and maximize income. Catch-up contributions. If you have fallen behind on your contributions or just want to make an extra deposit, this is the time to do that. Getting ahead of the savings curve can have huge benefits in terms of meeting your objectives at retirement. Give yourself a reality check. 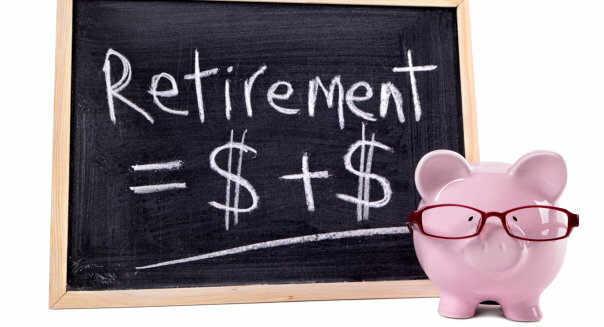 Use one of the retirement calculators that are available and plug in the numbers. You will know quickly if you are on target or not and whether you need to make some adjustments to your assumptions and savings plans. Consolidate retirement accounts. Many of us have more than one job through our career and may also have more than one retirement account as well. Consolidating them can make it much easier to manage and achieve your objectives. Always make sure that your investments are diversified across stocks and bonds. Savings:6 times your annual salary before taxes by age 55. Prune my stock portfolio. As you get closer to retirement and plan to withdraw your funds, you will want to keep more of your portfolio in cash so that you are less exposed to market fluctuations. Having 2 years worth of cash is a great way to avoid having to sell low to meet your retirement cash withdrawals. Plan your retirement. When you retire, how will you fill the hours of each day? 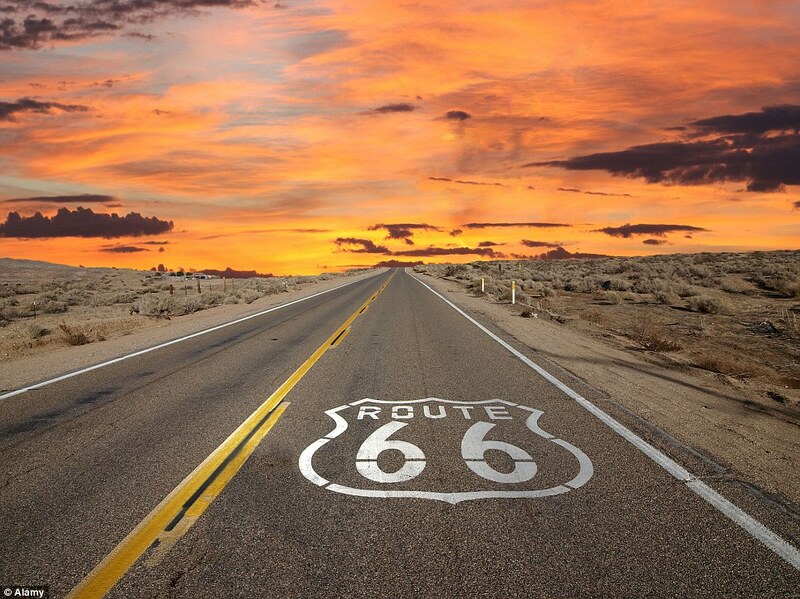 Will you travel, will you move, what hobbies will you follow and will you have the money to meet your plans? fill your days and you will enjoy them much more. Review your income plan often. As you approach retirement, it is a good idea to review your plan often to confirm and update assumptions about your expected income as well as your planned activities and expenses. Decide when to take Government Pensions. Taking government pensions early usually means a reduced pension, however cash flow and money needs may make it necessary to cash in early. Health issues are another issue. Use one of the calculators to help you decide when to take your government pension. Develop a Plan B. Life throws a lot of curves at us. Over a 30 or 40 year planning horizon, many changes to your assumptions can occur. Develop a plan B that helps you to meet your goals. Some people will do a sensitivity analysis on their assumptions to see what happens. For example, assume you will need to retire at 60 instead of 65 due to company layoffs. What does that do to your retirement savings plans and life style? If you spend some time on this now, retirement will be far more rewarding and quality of life will be far more enjoyable! For more ideas about retirement planning, click here. This entry was posted in Checklists & Tactics and tagged Retirement Checklist on 2012/08/21 by ernie. At the time of writing this post, it appears that interest rates are going to stay low for some time. Developing Retirement Tactics is getting harder all of the time. Canada has tightened the mortgage rules even more than previously to prevent a US style real estate bubble. The opportunity to earn reasonable investment income is getting tougher all of the time. Retirees are going to need even more money set aside in order to earn the money they need during retirement. So what can investors do and specifically what can retiree’s do to ensure that they are comfortable during retirement and have enough to live on? 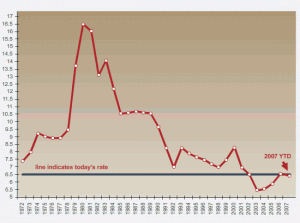 The chart above shows the interest rates for the past 40 years. There was a huge spike in the early 80’s which we never want to go back to again. Inflation and high mortgage rates of 21% even for the best customers with the best credit rating were the norm. Investors loved it because yields were very high. 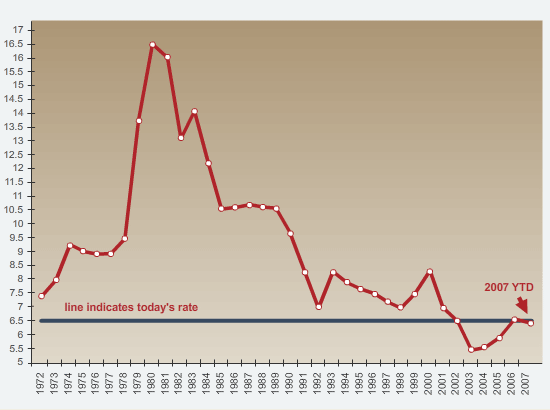 Today, interest rates are very low. Mortgage applicants love it since their costs for a mortgage are at the lowest they have been in the past 40 years. However for investors, it is a tough time. Corporate and government bonds are paying yields less than 4%, GICs are even lower and money markets are paying so low that it is not worth it to put the money in them other than to protect your capital! Governments around the world have telegraph that they are going to keep interest rates low to continue stimulating the economy. If you are in the Euro zone, some countries are paying high interest rates that reflect the high risk that are attached to their bonds. In other words they might not meet their interest payments and they may not repay the capital. Investors should be very careful if you are going to invest in this area. 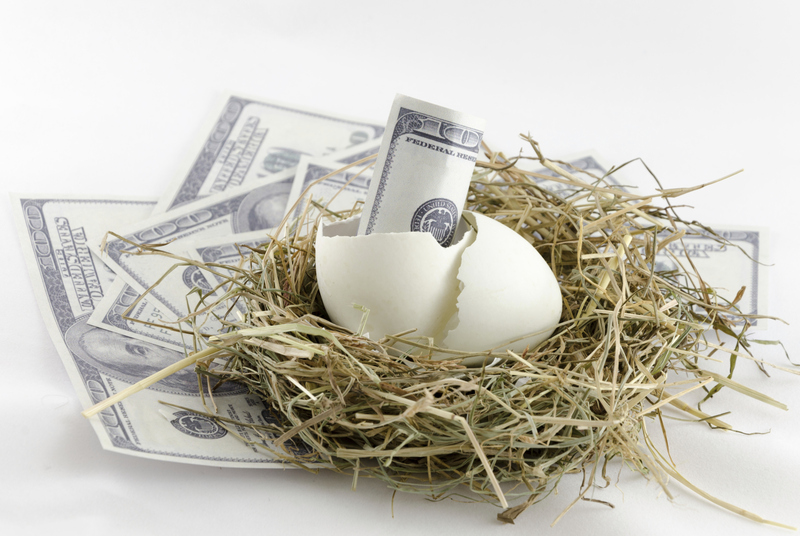 Retirement Tactics – So what should an investor do? There are a number of things to do that will allow you to manage your investments and balance your risk vs. yield, however it looks like yields will remain low for some time. This is something you should do on a regular basis and now is a really good time given the volatility in the markets to look at all of your investments, analyze the risks and then prioritize any actions that you may decide to take. Higher yields tend to have higher risk and that is certainly true for investment in Greek and Spanish bonds. But what about closer to home? Some corporate dividends pay quite well, over 5%, however investors are encouraged to look at any potential risks associated with these corporations and exposure based on the volatility associated with the economy and the Euro crisis. Retiree’s tend to focus more in income generation as well and that is why many people are moving to dividend producing stocks that have a history of increasing their dividends over time. This is one of the best ways to give yourself a raise over time while retired. All corporations do this and investors should be no different. Review all of your expenses and make decisions regarding were you can cut back and reduce your expenses. This is a very individual decision, however most people have money that they spend every day or every month that can be reduced or eliminated. This is a great way to make your money go further. Balance yield and safety as we mentioned earlier. High yield bonds are inherently risky. Low yield bonds and GIC’s are very low risk, but your yield is going to be much less. Either increase your capital and save more to generate the income you feel you need or take more risk to generate the yield that you require to meet your income requirements. Speculation is a great thing and sometimes pays very well. Can you afford to take that kind of risk? Will you need to sell some of your equity at a time when stocks are low to give you the money you need? Most retirees will gradually shift from growth oriented portfolios to income oriented portfolios as they age and need the income to live on. Even if you go for low yield bonds with government or blue chip corporations, the income will be more secure and the capital will also be more secure. After you have completed all of this analysis you may find that you cannot generate the income you need. You may also not be able to reduce the expenses enough to balance income vs. lifestyle. You might decide that even if you can find that balance you need there are other things you want to do. Maybe you would like to have some extra money to go on a trip, fix up the house or buy a new car. Whatever the reason, consider looking for a job that is fun and rewarding. Find something that you enjoy and pays you what you need to meet your objectives. In your personal life, there may be other options that are specific to your situation. Evaluate these as well and make a decision regarding whether they should be pursued or not. They might make sense for you in your situation. Whatever you do, avoid procrastination. Get going now to assess your situation to maximize your income and minimize your expenses! Do it today. 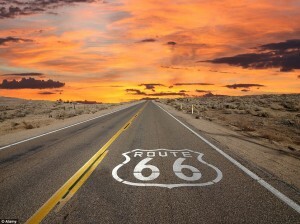 This entry was posted in Checklists & Tactics and tagged Retirement Cash Flow on 2012/08/07 by ernie.